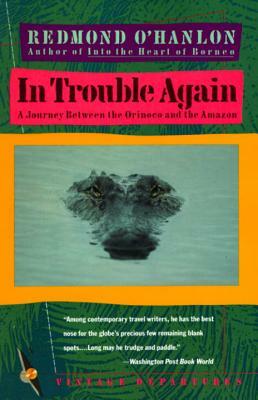 O'Hanlon takes us into the bug-ridden rain forest between the Orinoco and the Amazon--infested with jaguars and piranhas, where men would kill over a bottle of ketchup and where the locals may be the most violent people on earth (next to hockey fans). A fellow of the Royal Geographical Society and the Royal Society of Literature, Redmond O'Hanlon was the natural history editor of The Times Literary Supplement for fifteen years. He lives near Oxford, England, with his wife and their two children. "Among contemporary travel writers," according to the Washington Post, "he has the best nose for the globe's precious few remaining blank spots . . . Long may he trudge and paddle."